When it comes to Social Security Disability Insurance claims, it all comes down to evidence. In many cases, the question of disability is somewhat subjective, so having ample and compelling evidence to prove your position is crucial. Your attorney can help you from the very beginning of this process – identifying what evidence will be necessary, how it should be collected and how it will be presented. The Social Security Administration outlines Evidentiary Requirements for SSDI claimants. As the agency notes, medical evidence is “the cornerstone of the disability determination” for SSDI benefits. The burden of proof is on the claimant to provide ample medical evidence showing he or she has an impairment and detailing the severity of that impairment. Unrepresented claimants find themselves at a steep disadvantage because they don’t know what to do during the trial, what evidence to present or the process of calling and examining key witnesses. When you have an SSDI attorney who knows exactly what type of evidence is needed, you’re ahead of the game. In Diedrich v. Berryhill, an SSDI appeal from the U.S. Court of Appeals for the Ninth Circuit, claimant had a long history of very serious medical conditions and well as many traumatic events that contributed to her mental health issues. She allegedly suffered sexual abuse from father, as well as emotional abuse from him, attempted suicide. She married as a teenager, and was reportedly a victim of domestic violence by her husband. She also had a lengthy criminal record. While a criminal conviction will not disqualify a claimant from SSDI the way it can with other types of public benefits, it was relevant here because it contributed to her mental health issues and her gap in work history. This, as well as records from doctors helping to treat her mental illness was important. With all that evidence, her claim to SSDI benefits was challenged largely on the basis of quarterly income credits. This system bases the amount of benefits received not only on how much claimant previously earned, but how long he or she worked. Lack of enough quarterly credits could disqualify a claimant from receiving SSDI benefits. Work history is relevant because SSDI, contrary to the opinion of many is not an entitlement program. Instead, it functions closer to a private disability insurance policy. 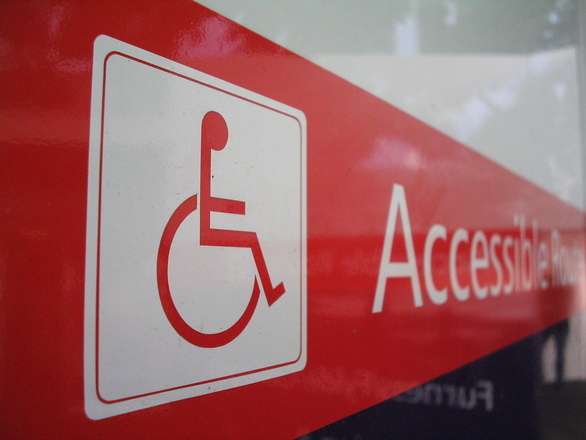 The claimant must have worked for a number of fiscal quarters prior to becoming disability. This is known as paying into the system because with every paycheck, money is taken from the employees earnings and paid into the disability fund. This is like paying a premium on a private insurance policy. The number of quarterly credits required will vary based upon the age of the claimant at the date of the onset of disability as governed by 42 USC Section 423. If claimant has not worked enough to qualify for SSDI benefits, this can result in a finding that claimant is not eligible for benefits, but this can be rather complicated so the best thing a claimant can do if they live in the greater Boston area and their initial application is denied is to contact an experienced disability benefits lawyer as soon as possible. Since there is no cost unless successful, as discussed above there is no reason not to so. A claimant should not be very surprised if their initial application is denied. According to the SSA’s own data, in any given year, less than 25 percent of all applications are approved initially. The next step in the process is written request for reconsideration, and only around two percent of these requests are approved. The next and final step for many applicants is that hearing before an ALJ, and this is where the best chance of obtaining benefits may be found. In this case, there were issues pertaining to the date of the onset of disability. This is relevant because it affects how many quarterly credits she is required to have earned, as well as her ability to engage in substantial gainful activity. This phrase basically means work enough to earn around $1120 (possibly changes slightly each year) in any given month. Even though that may be far less than she was making prior to becoming disability, that is the definition SSA will strictly adhere to. At the hearing, she testified as to her disability and presented what the court called voluminous medical records. The ALJ denied her claim for disability after finding her testimony to be not entirely credible and the ALJ call a medical expert to testify as to the documents. There are various rules and regulations that determine how much weight should be afford to certain evidence such as the opinion of claimant’s treating physician and what must be done to refute his or her expert medical opinion. On appeal, the court found this was an error and that ALJ’s opinion amounts to a lot of speculation. This case was affirmed in part and reversed in part so there could be more evidence presented to learn more about the gaps in her medical records in relation to the date of the onset of disability. Once this information is obtained, a look at the issue of a delayed onset condition can be hanlded and that will determine how many quarterly credits were required as as well. These are all very complex issues so the best thing a claimant can do is to speak with an experienced attorney early in the application process. There are various options if things do not go well for an unrepresented claimant including an appeal to the SSA Appeals Council, but it is much easier if things are done properly in the first place as this will increase the chances of a successful outcome that results in the award of SSDI benefits. Claimants fail to seek representation often because they assume they can’t afford it. After all, they aren’t working, which is why they are seeking SSDI benefits in the first place. The good news is, there are options. The Social Security disability benefits hearing process requires an experienced attorney. Your SSDI lawyer should possess a thorough knowledge of not only the relevant law pertaining to Disability Evaluation under Social Security, but also experience with representing claimants during the hearings, which are very much like trials. There is a judge called an administrative law judge or “ALJ,” and there will be witnesses who testify on behalf of the Social Security Administration (SSA), and hopefully the claimant as well. As our Boston Social Security disability lawyers can explain, this concern about not being able to afford an attorney is based upon a misconception. There is no cost to hire a disability attorney initially. The only way the attorney gets paid is if he or she is successful in obtaining a disability benefits award for the client. If the client is adjudicated as disabled, there will be an award of monthly benefits, and likely an award of retroactive benefits. This to compensate the claimant from the date of onset of disability to the date benefits are eventually paid. It’s called a “contingency fee” arrangement for legal services. The attorney’s fees will be a portion of the retroactive benefits and they are paid though SSA. There should also be no charge for the initial consultation for persons applying for SSDI benefits in Boston.